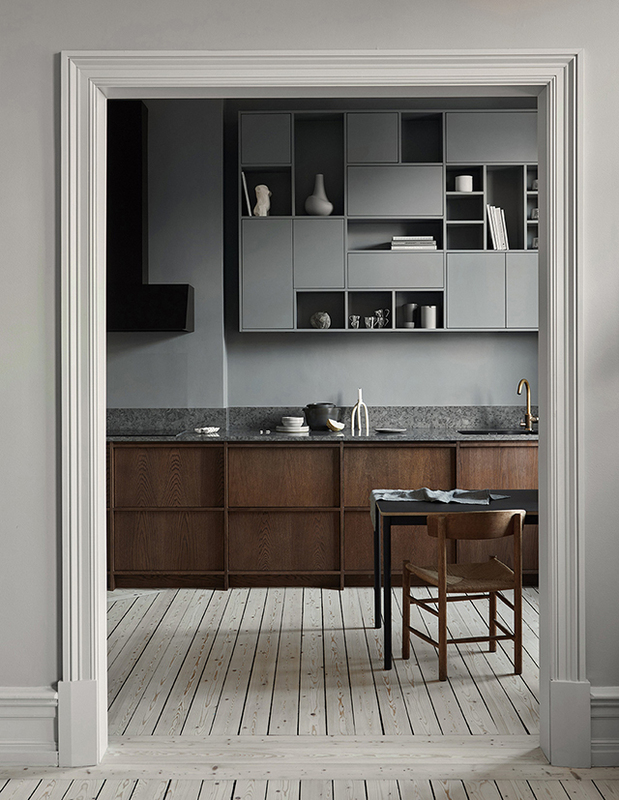 A beautiful fusion between old and new, this inspiring new kitchen by Nordiska Kök is located in a historical building in Gothenburg. Built in 1894 in French Chateau Style, the original details of the interior provide an elegant framework for the kitchen, which has been designed to meet the needs of a modern lifestyle. 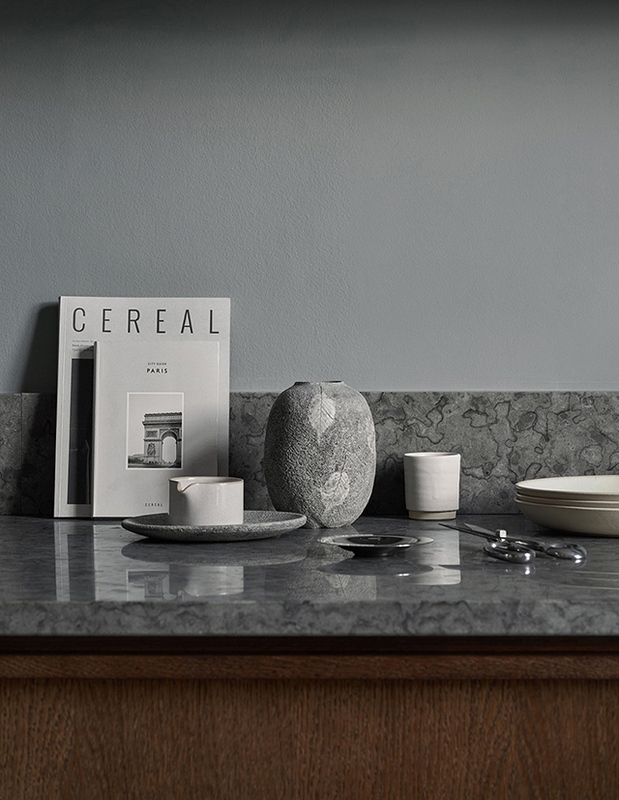 A bench top crafted from locally produced Kinnekulle limestone is paired with in-frame cabinets in dark stained oak. The result is luxuriously rich and textural. 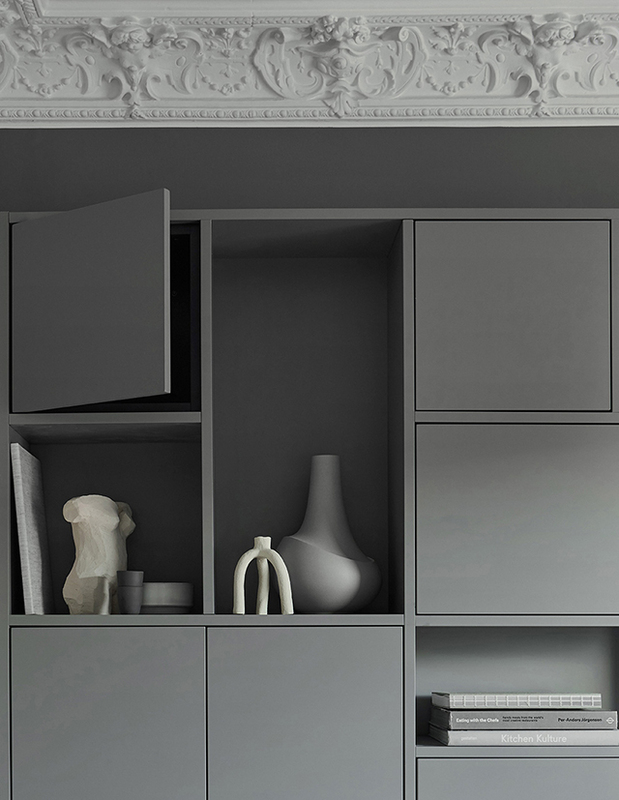 Grey walls create a seamless effect, while the bespoke asymmetric shelf brings a surprise twist and eye catching geometric effect. I love how the mix of open and closed shelving provides plenty of storage options, including a place to keep favourite pieces on display. 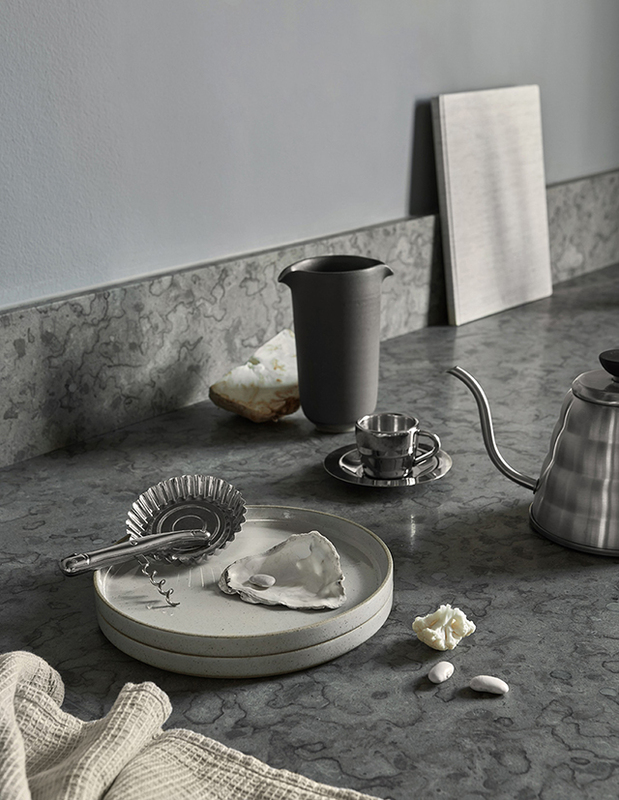 Sylists Sundling Kickén have provided the perfect finishing touches with a mix of beautiful books, functional day-to-day items and sculptural ceramics. 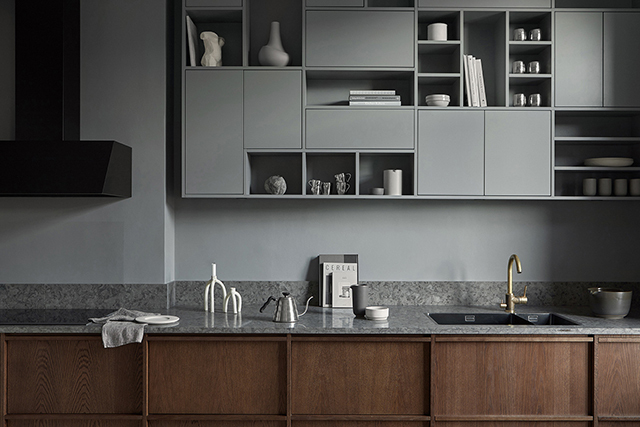 As with all of the kitchens designed and custom made by Nordiska Kök, every element is carefully thought through and executed with incredible attention to detail. 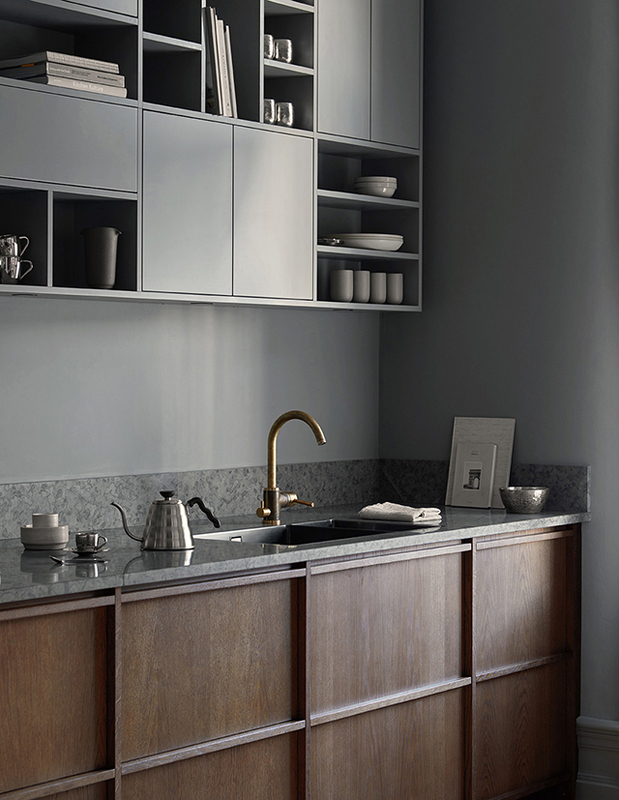 I'm really loving dark wood elements in the kitchen right now. 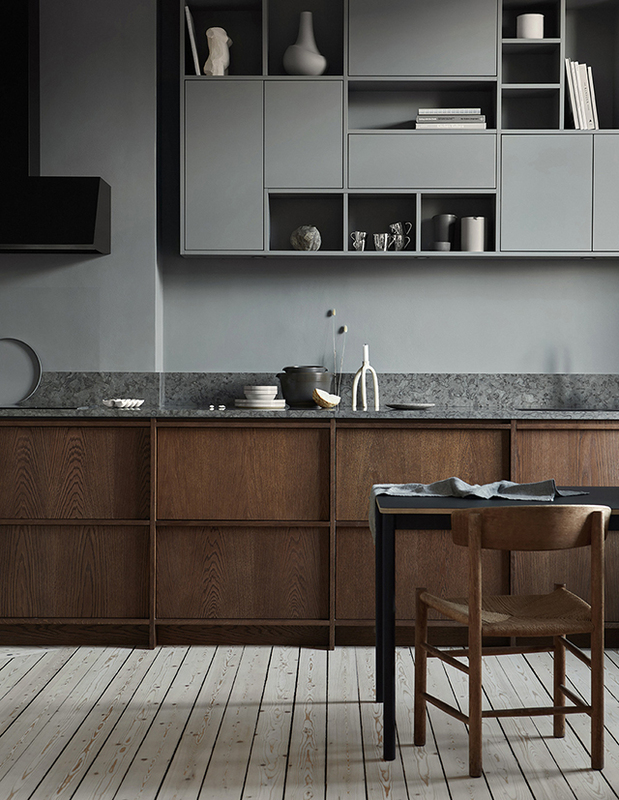 If you're the same and are looking for further inspiration, check out these previous projects by Nordiska Kök here and here, and this one by Australian Studio 11:11. These designs are so elegant! The kitchen area looks so astonishing. Great designs, keep going!